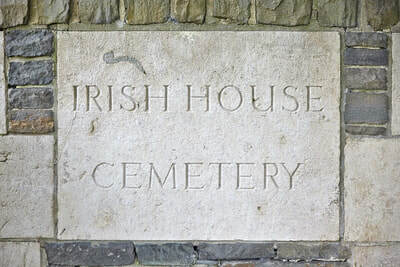 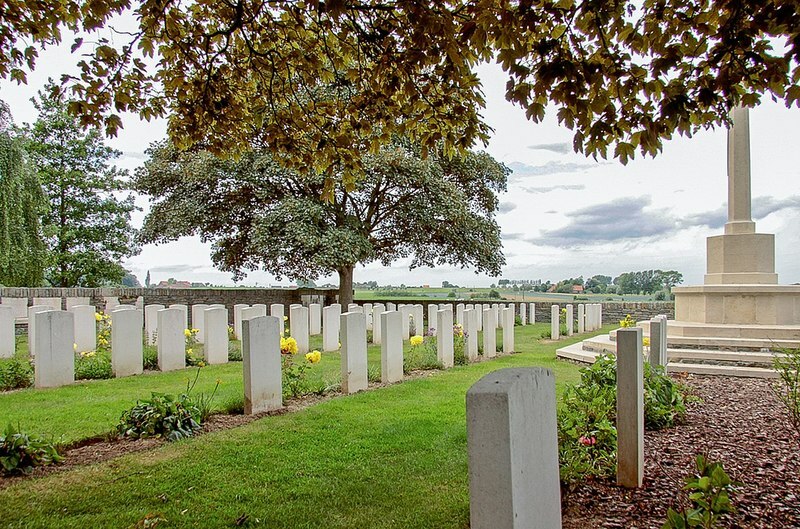 Irish House Cemetery is located 7.5 km south of Ieper town centre on the Savaardlindestraat, a road leading from the N365 connecting Ieper to Wijtschate and on to Armentieres. From Ieper town centre the Rijselsestraat runs from the market square, through the Lille Gate (Rijselpoort) and directly over the crossroads with the Ieper ring road. The road name then changes to the Rijselseweg. 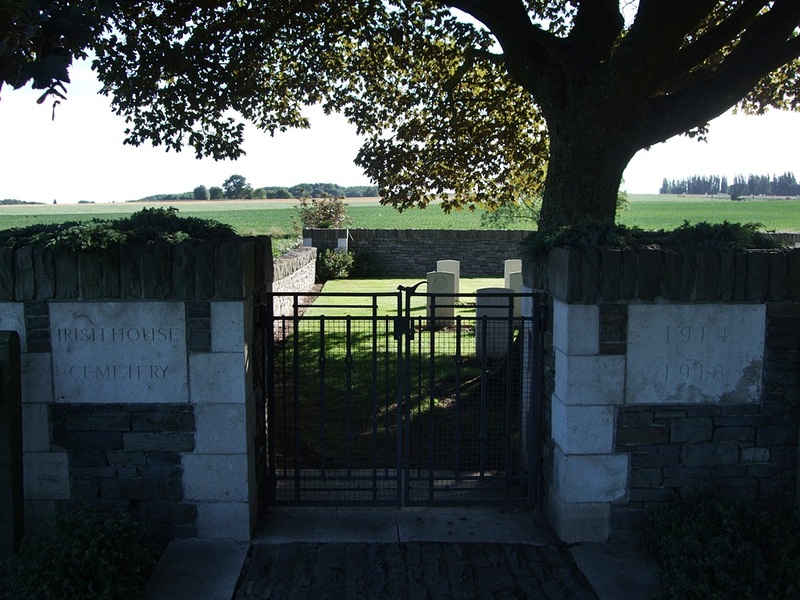 On reaching the village of Wijtschate the first right hand turn onto the Hospicestraat leads to the village square. The Wijtschatestraat leads from the village square towards Kemmel. 2 km along the Wijtschatestraat lies the right hand turning onto Savaardlindestraat. 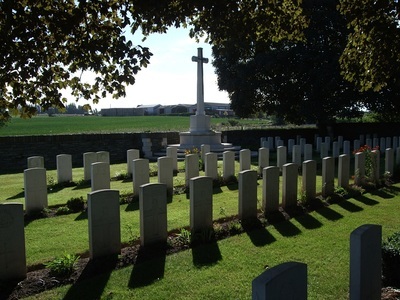 The cemetery itself is located 800 metres along the Savaardlindestraat on the right hand side of the road. 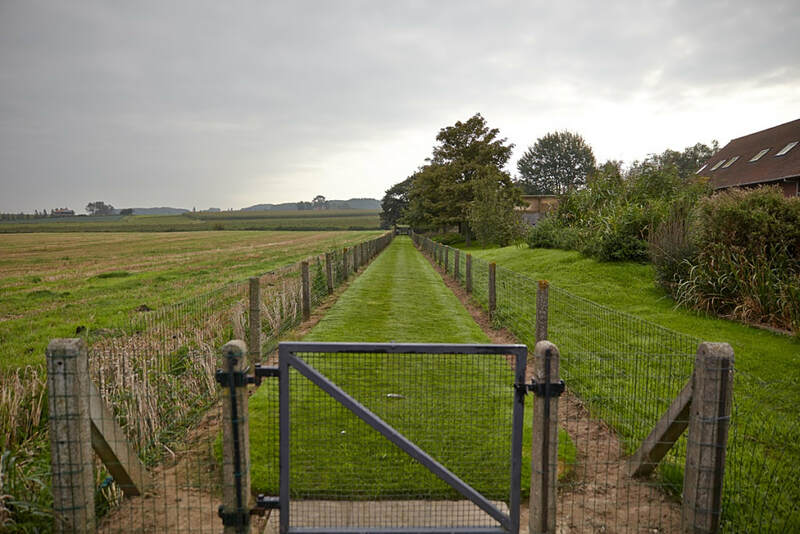 Visitors to this site should note a 200 metre grassed access path to this site which is unsuitable for vehicles. 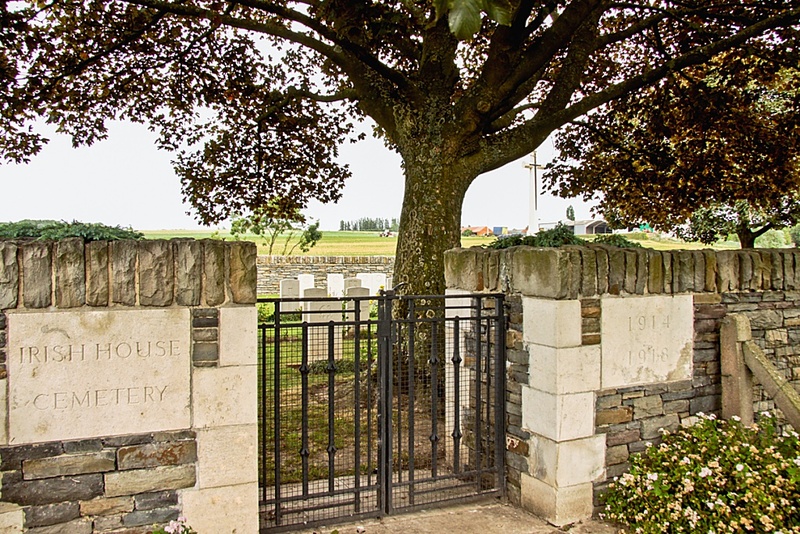 Wheelchair access to the cemetery is possible via main entrance. 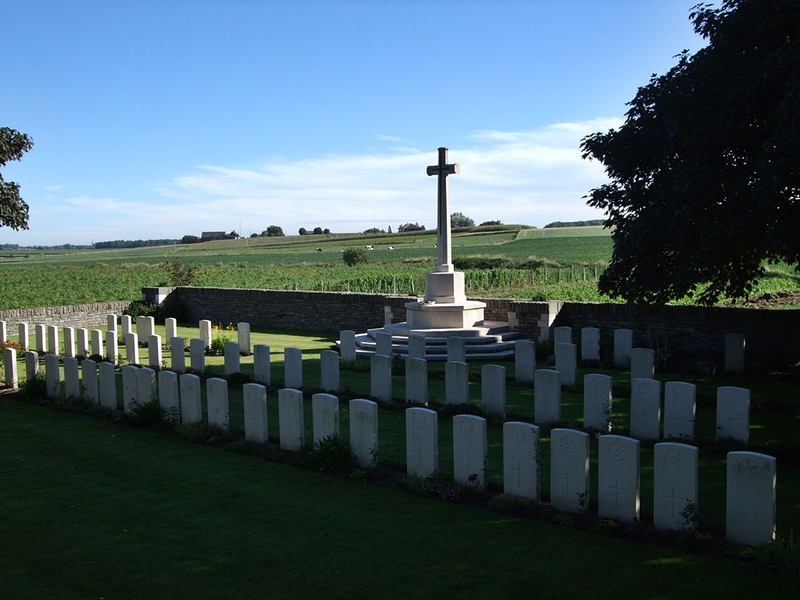 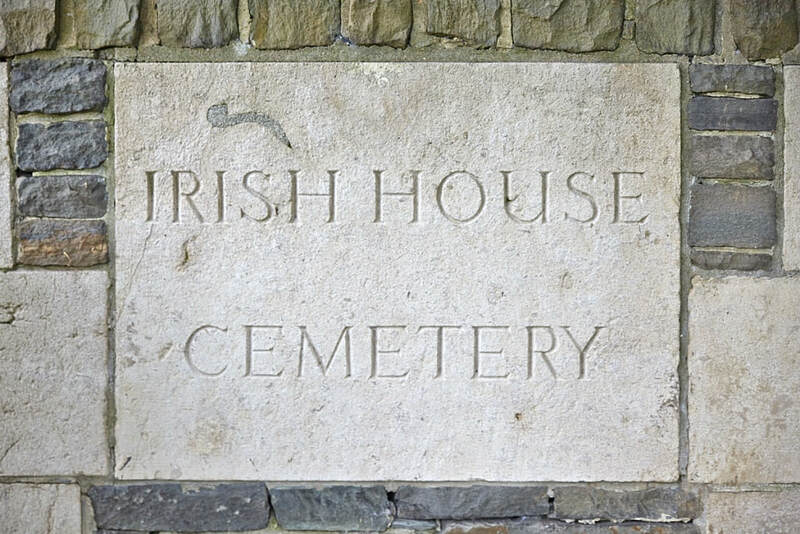 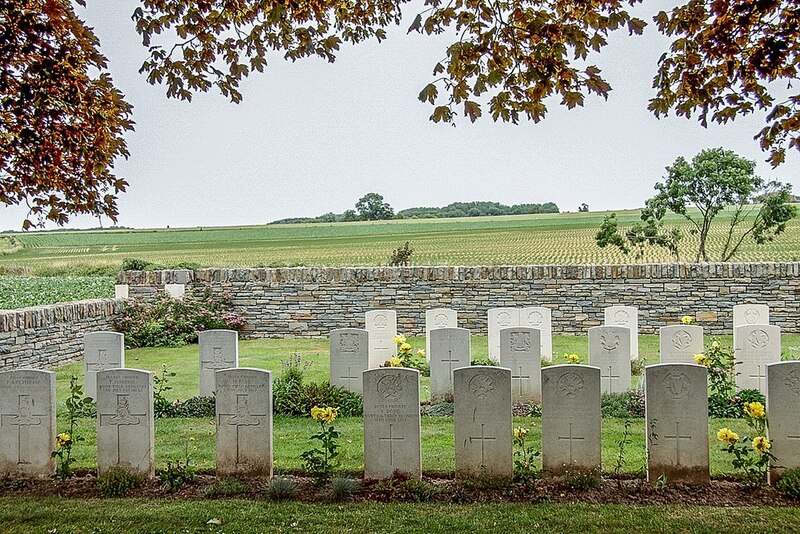 The cemetery owes its name to a small farmhouse 90 metres to the west, known to the troops as "Irish House". 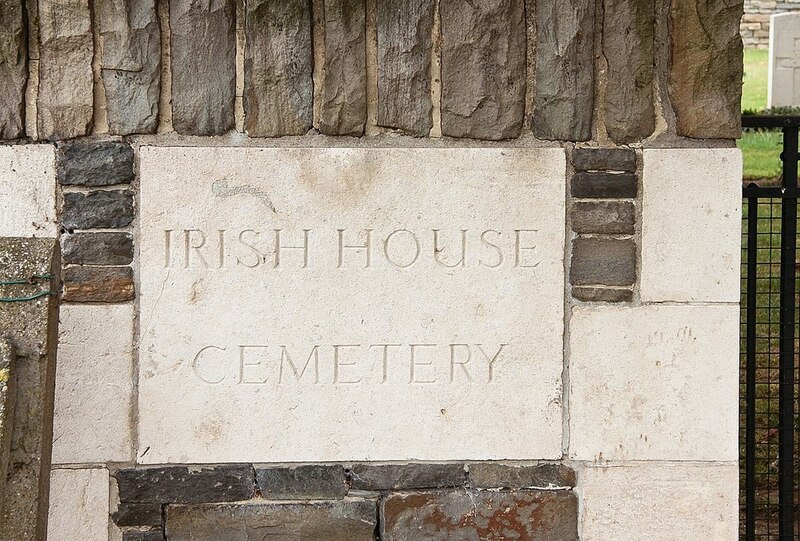 It was begun in June 1917 by the 16th (Irish) Division, and used at intervals until September 1918. 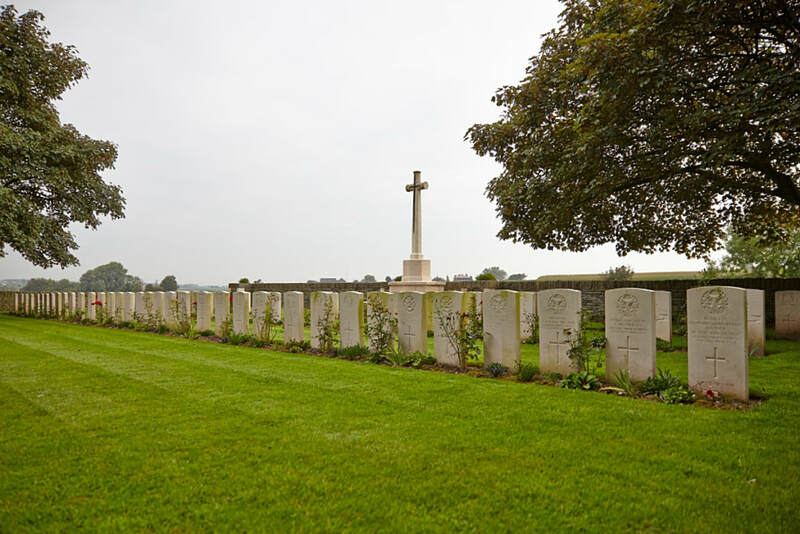 In Row A are the graves of 33 Officers and men of the 1st Gordon Highlanders, killed in action in December 1914 in the 3rd Division's attack on Wytschaete, and reburied here by the 11th Royal Irish Rifles in June 1917. 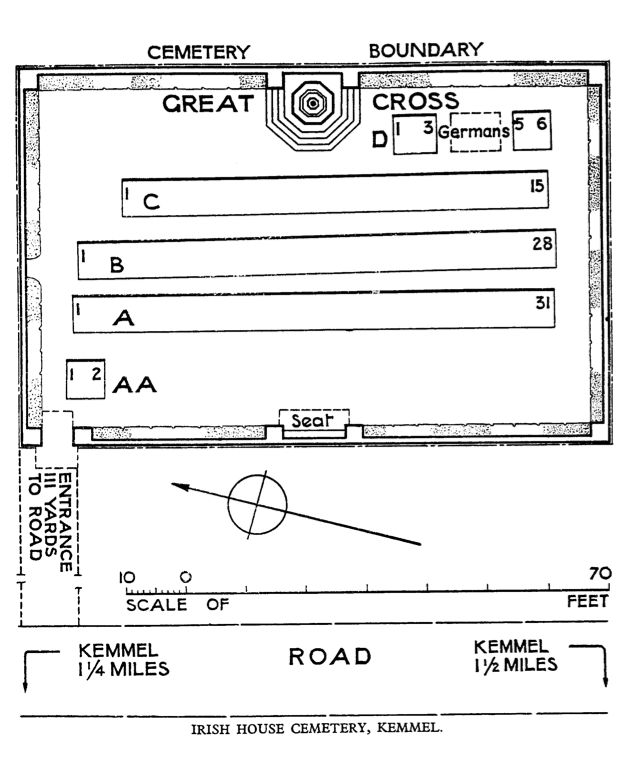 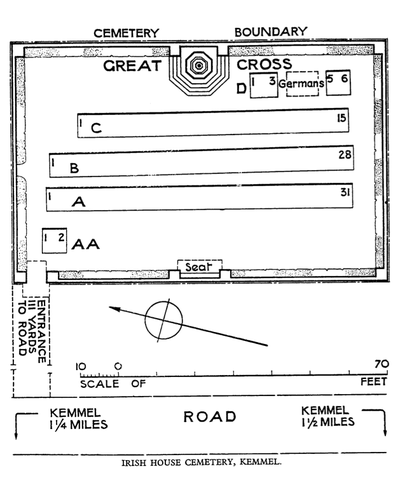 The ground was in German hands from April 1918 to the end of the following August. The cemetery contains 117 Commonwealth burials and commemorations of the First World War. 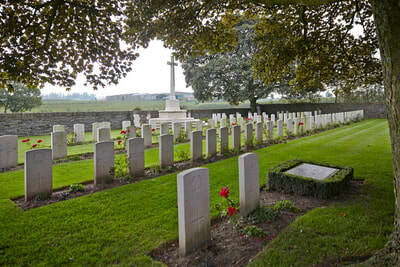 40 of the burials are unidentified but there is a special memorial to one casualty known to be buried in the cemetery. 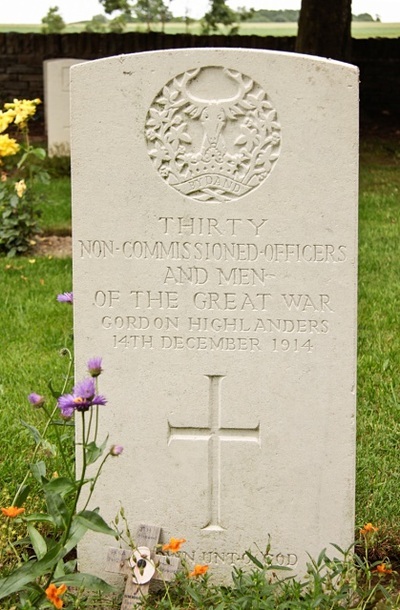 15th December 1917, aged 21. 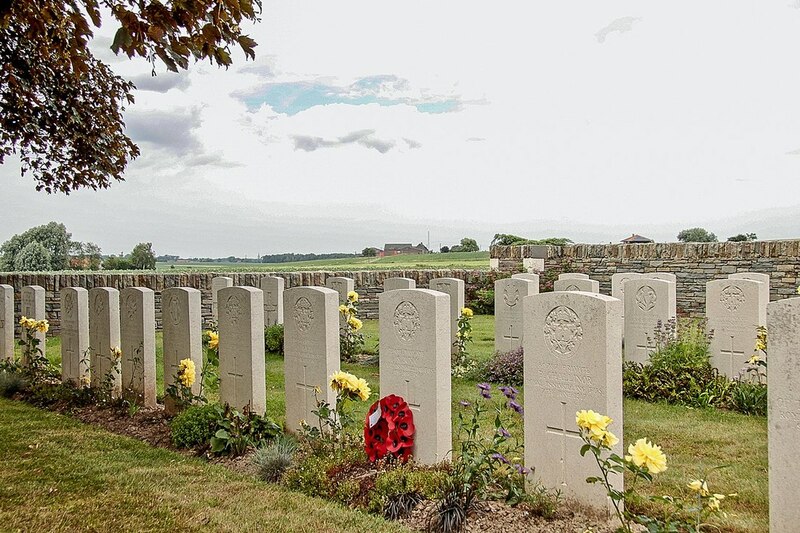 Son of Alexander and Margaret Irvine, of Bostocks Creek, Victoria, Australia. 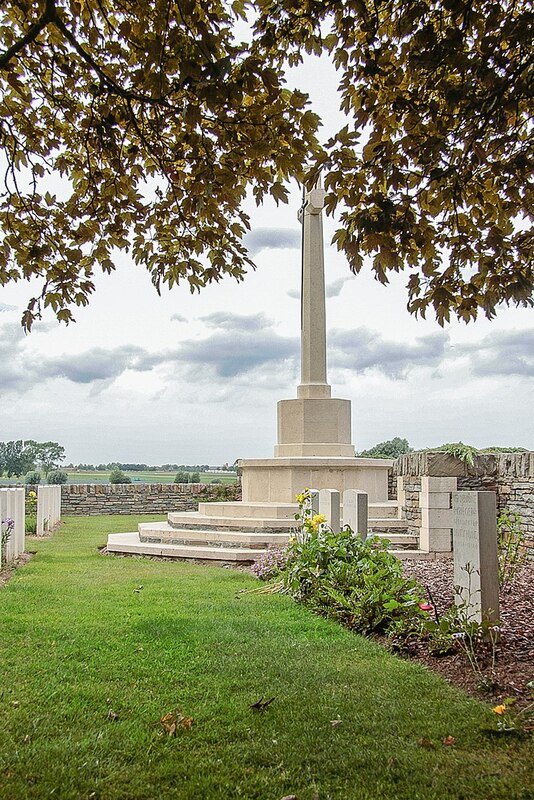 Born at Mortlake, Victoria. 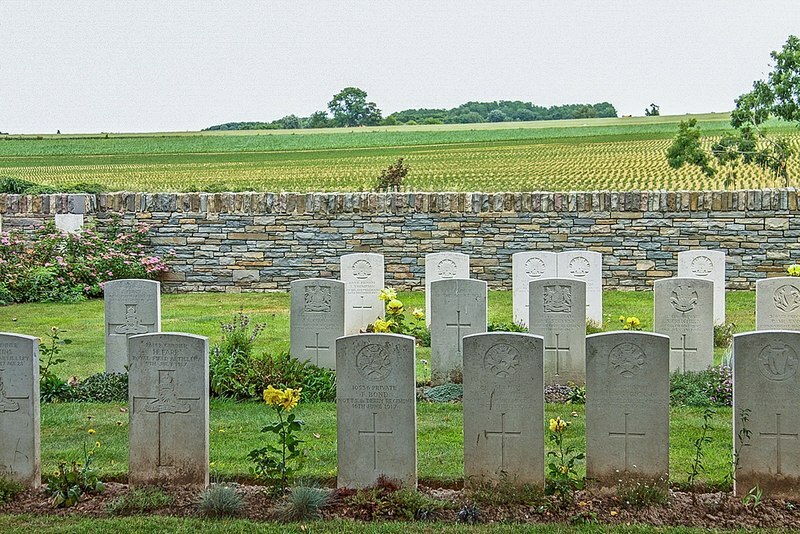 14th December 1914, aged 19. Son of James McWilliam, of 22, Forbes Rd Edinburgh (Solicitor Supreme Courts, Edinburgh) and his wife Ella Julie de Lorn (nee MacDougall). 19th November 1917, aged 20. 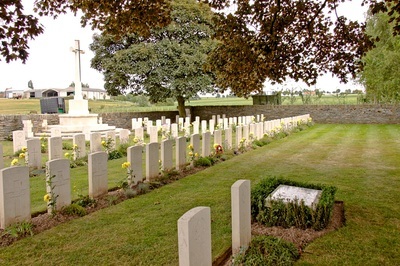 Son of Robert and M. J. Tomlin, of William St., Camden, South Australia. Born in England.